I am a member of the South Florida Parenting Magazine Mom-Approved Panel and received free tickets to attend this event. 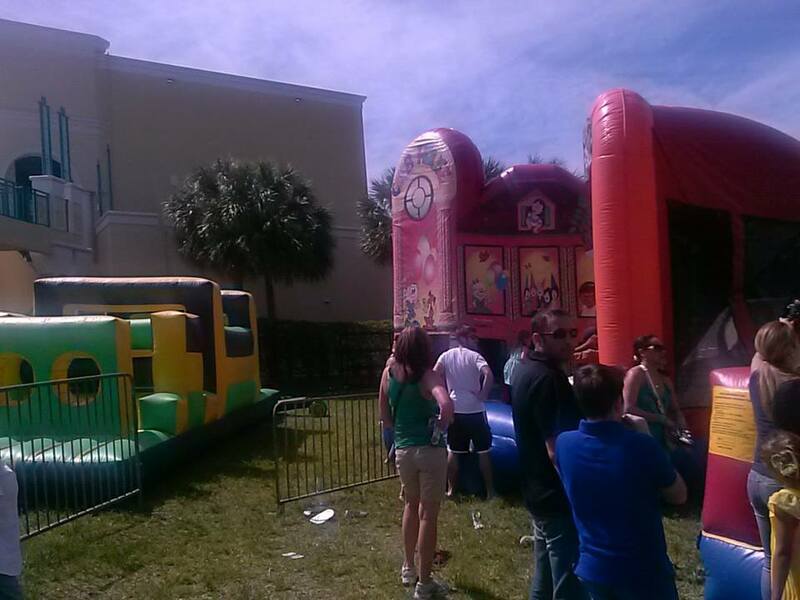 This past Saturday, I had the opportunity to take my family to the Egg-a-Palooza event and my kids had a great time! The first thing we did was visit all of the booths so that they could get their scavenger hunt cards stamped & possibly win an Easter basket. Then we stopped over at the bounce area, where there were 3 types of bounces. As you can imagine, my kids did not want to leave. I had to ply them with promises of games & prizes. Then we hit up the inflatable baseball range, followed by egg hunt. The kids were allowed to collect 10 eggs each, and we found out that we picked a “special egg,” and won tickets to Dinosauria. We can’t wait to go to that. 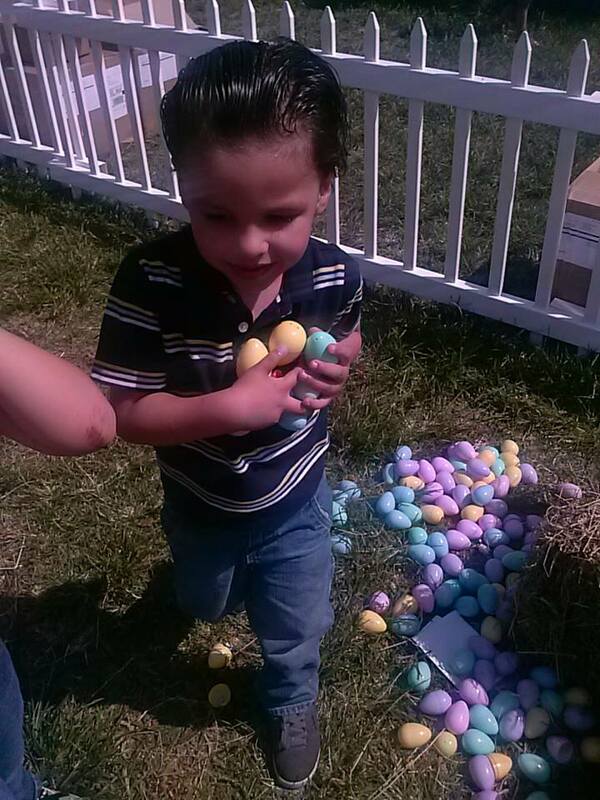 My son tried to hold all of the eggs in his hands, but they ended up in my purse. Isabella knew right away to start loading them into a bag we had. 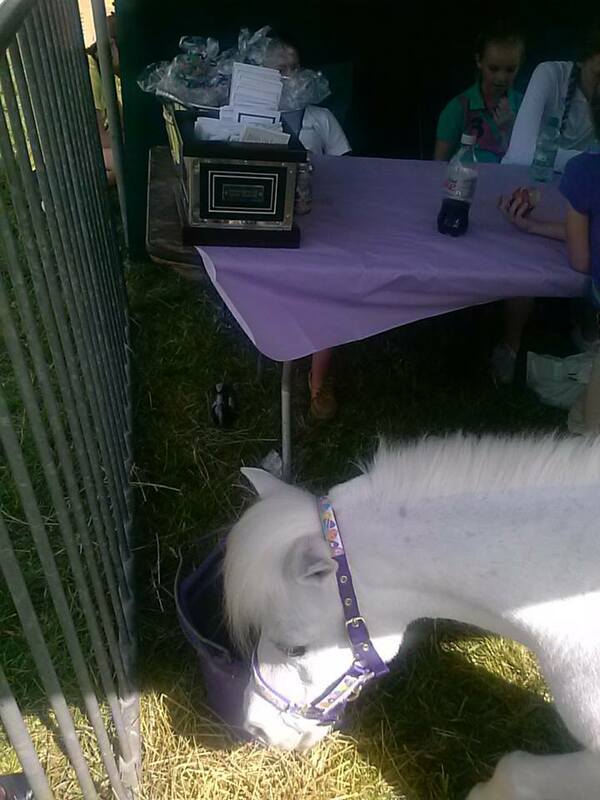 After the hunt, we made our way past the food trucks and headed straight for the pony. The kids just had a chance to ride a pony last weekend, so they were excited for this. Since there were no rides on this pony, we headed back under the tented area to enjoy some performances by some very talented kids. We also entered some giveaways by the vendors and made some s’mores. 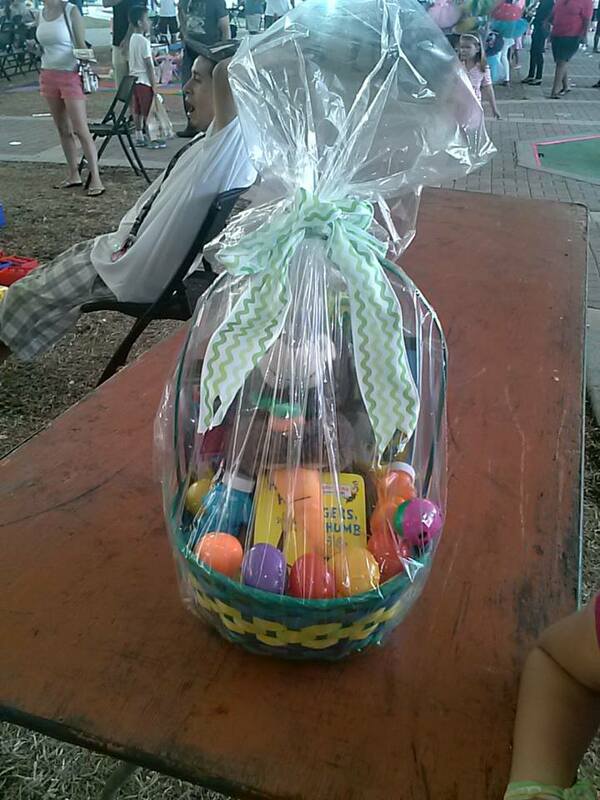 We entered one contest for an Easter basket and at 4 o’clock we won! There was so much for the kids to do at the event and they loved every minute of it. I had to drag them out as everything began closing down. The kids arrived home anxious to check out what was int he basket and in the eggs they collected. Now they are looking forward to Easter in 2 weeks. Peggy, it was a lot of fun! Thanks Dorothy! We look forward to it. Sweta, yes it was a lot of fun! Congrats on winning I bet your kiddos where on cloud nine.Looks like a lot of fun with tons of activities so the kids couldn’t get bored . That is such a cute event. I wish they had an event like that by me. My kids would love it! Amanda, Where do you live? Wow, looks like great time to be had! and a pony?? my daughter would’ve flipped! Yeah, my kids loved the pony! Wow, that sure sounds like a full and exciting day. Love those types of events, got to check out the parenting events! Thanks Mar! It was fun! we live in south florida too! this looked like a fun day!!! Gianna, That’s cool and it was very fun. This reminds me of when my kids were younger and finding the holiday events in Pa. For them. Miss those times when kids would dress up in their Easter best and head outdoors to enjoy the events. Doen’t seem to happen that much anymore. Don’t know if it’s the cost of things or everyone is too hooked on their internet. Well, I’m always up for a trip to my favorite Easter spot. The Philadelphia Zoo. It’s the oldest zoo in the States, and well worth the visit. Whatever you all choose to do, I hope you have a blessed holiday with your loved ones. Thanks Gale. The zoo sounds fun! What a neat event–great for all ages! Loads to do! Thanks for sharing. You guys are lucky that u have something like this! 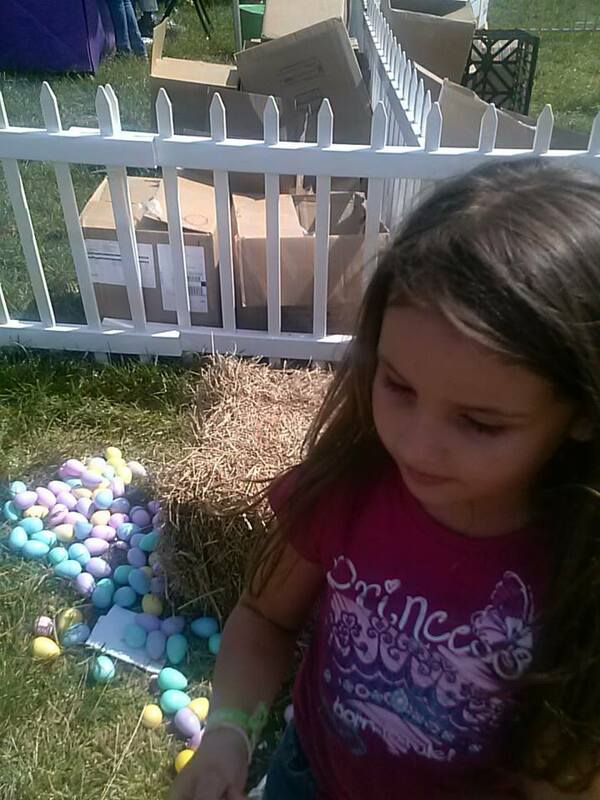 We are from Massachusetts and all I could fond was one egg hunt at a local school. This looks awesome! Oh that is too bad. Maybe you can organize something next year. Btw, my mom was born in Massachusetts and Bloggin’ Mamas has a Boston chapter in case you are in the area. I am so sorry I missed this. Keno, Stay tuned to my blog for more South Florida events. That looks like a fun day! Easter is competing with Halloween for sheer sugar buzz-worthiness, lol! Yeah, we had a lot of sugar to contend with this year. wow ! this egg hunt sure had great prizes ! lucky you ! tickets to dinosauria ! and a gift basket . Wish we had those kind of events here in tampa,fl. my kids would of love riding the pony ! Daniela, Yeah, the kids had a blast. Do you follow any bloggers in the Tampa area?